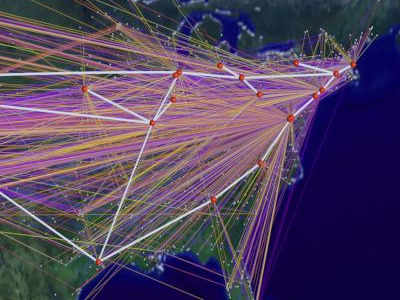 This high-definition computer animation educates general audiences about the exponential growth of networking in the US and world. A data visualization spanning a two-year period represents rapid traffic growth that exceeds ten's of billions of bytes per day. 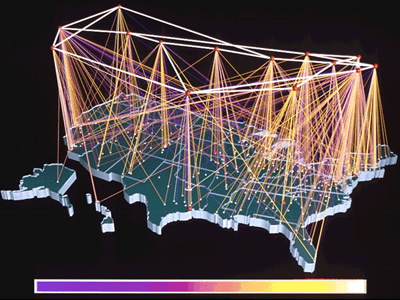 The second image is a visualization study of inbound traffic measured in billions of bytes on the NSFNET T1 backbone for September 1991. The traffic volume range is depicted from purple (zero bytes) to white (100 billion bytes).